On Friday we held the fifth session of our beta playtest of AGON 2nd edition and visited our third island. 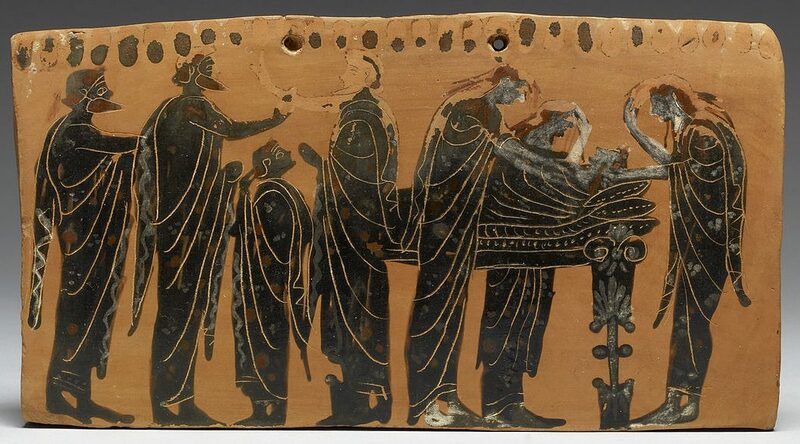 The lying in state of a body, terracotta pinax by the Gela Painter, latter 6th century BC. Our heroines landed on the island of Nimos, where they were surprised to learn of the untimely death of the crown prince, one of their companions during the War. The royal family and the whole island were in mourning. Tonight was the fourth session of our beta playtest of AGON 2nd edition and our second island. Dolia’s player was unavailable so our heroes were Antiochis and Phaedra. Our heroes landed on the islands of Ion and Soros, linked by a land bridge. Usually there was a gate on the island but it had been destroyed and masses of people were fleeing from Ion into Soros. 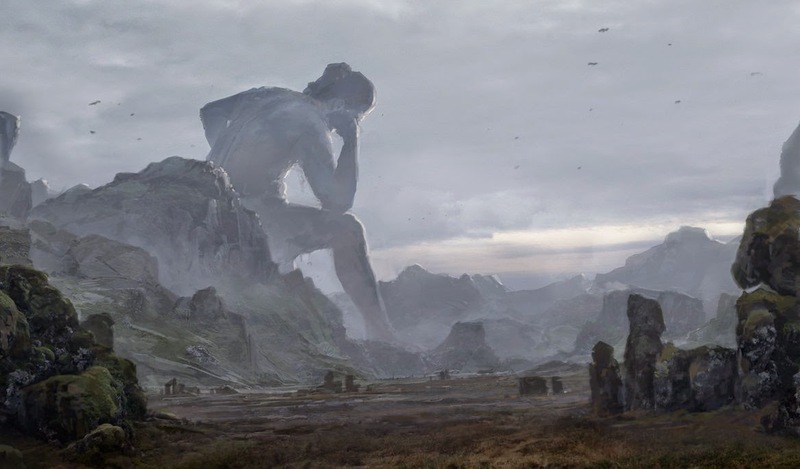 Orta, the giant who controlled Ion, was raging; his cries of rage and stomping could be heard from afar and every stomp was accompanied by a ground tremor. Seeing something big going on at the royal palace on Soros, the heroes went to check it out. King Vlakas was preparing to pronounce judgment on his daughter and leader of the Soros army, Commander Tyla, for failing to stop the Ionian refugees by force. The King assumes that the heroes were sent by the gods to restore order on Soros. Tyla recognized the heroes and called them by names and deeds, asking them for support. And now for a recap of our third episode of the AGON 2nd edition beta playtest (see the first and second episodes.) Thank you to Kim for taking notes during our games! In the final thrilling episode for this island, an epic naval battle took place between the heroes and Thesekyra the pirate queen! When last we left our heroes, they were about to give chase to Thesekyra the pirate queen, who had sailed away with the stolen Pillar of Storms. Before leaving the panicked inhabitants of Kryos, Dolia convinced the villagers to hide in the mines from the harpy attacks. Our heroes set sail after the pirate queen, with a captured harpy attached to the mast with a length of yarn as a guide. 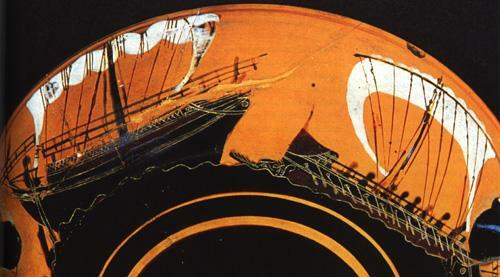 The closer they got, the stormier the sea was, thanks to the stolen artifact. Unfortunately, the attempt to outmaneuver the pirate queen was met with abject failure and the heroes’ ship was driven into the magical storm. 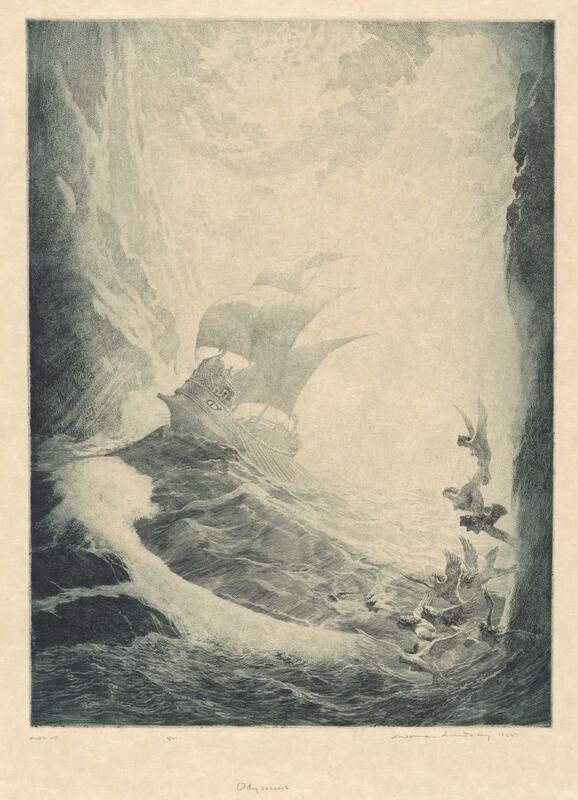 Dolia attempts to call upon Hekate for assistance, pouring a sacrifice of sacred oil onto the waves, but the sacrifice did not go so well and the ship capsized in the towering waves. Phaedra rescued the bound harpy rather than let her drown. Antiochis rallied the boon companions and Phaedra shamed the harpy into not abandoning everyone. With her help, they were able to find a nearby island and tow the capsized ship there. On Friday night I ran the first episode of an AGON mini-series for a beta playtest of the second edition. I had three wonderful players: Misha Bushyager, Sandy Jacobs-Tolle, and Kimberley Lam. Heroes are created by giving them an Epithet, which translates to particular ability in a Domain (Arts & Oration, Blood & Valor, Craft & Reason, or Resolve & Spirit) and a specific Strength (e.g, Authority, Ferocity, etc. ); a deity, which lends them another specific Strength (or increases their Strength if it’s the same they get from their Epithet); and picking their lineage, description, and weapons. 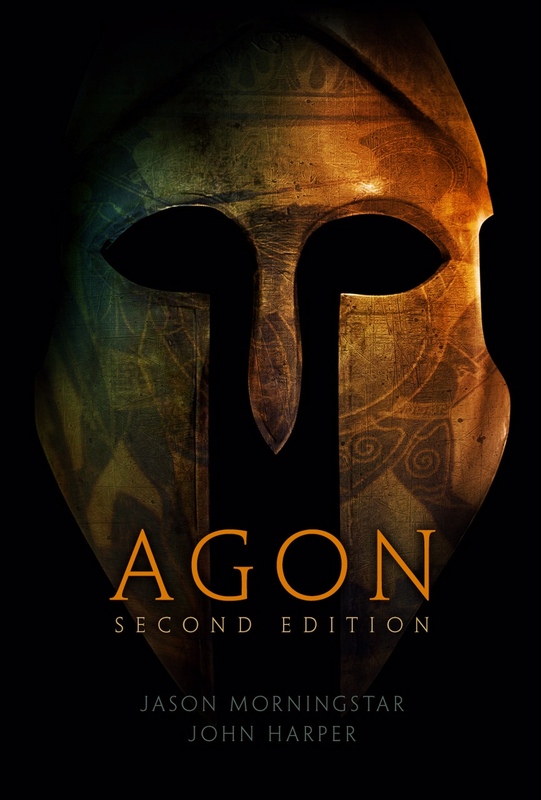 AGON is a game inspired by the Iliad and the Odyssey where you play heroes of antiquity having adventures and tossed by the whims of capricious gods. John Harper (One Seven Design) published the original game in 2006, but a new edition has been in the works for a year and a half, this time written in collaboration with Sean Nittner (Evil Hat Productions), as well as the design chops of Jason Morningstar (Bully Pulpit Games).. The intensive alpha playtest resulted in a streamlined but also more structured system to create episodes with minimal preparation. The game has now been released outside the development team for some beta playtesting, and I was invited to participate. According to the playtest document, the game plays best with one Strife player (game-master) and two to four Hero players. The default setting is Ancient Greece, but it’s easy enough to re-skin for another pantheon of Antiquity or fiction, such as the Egyptian, Tagalog, Norse. or Marvel’s polynesian pantheon. Since Google is closing G+, stripping down Google Groups further, and tinkering with Hangouts, we decided to go for a Discord server for both chat and voice; and I started a great big Pinterest board of visual inspirations.